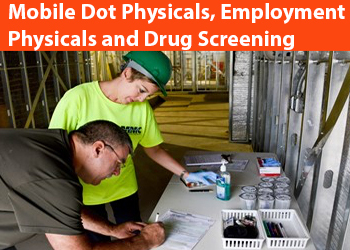 Mobile $50 Dot Physicals, $50 Employment Physicals, and Drug Testing starting at just $45 per employee. We will go out to your company and provide low cost dot physicals, employment physicals and drug screening in San Jose, Santa Clara, Milpitas, Fremont, Newark, Union City, Campbell, Mountain View, Palo Alto, Menlo Park, Gilroy, Morgan Hill, Cupertino, Hayward, San Leandro, Oakland, Alamda, Richmond, San Pable, Berkeley, Vallejo, San Francisco, South San Francisco, Daly City, San Bruno, San Mateo, San Carlos, Concord, Pleasanton, Livermore, Tracy, and Fairfield. If you have only one or two employees needing an employment physical, dot physical, or drug screening we can see them at our San Jose or Oakland Office. 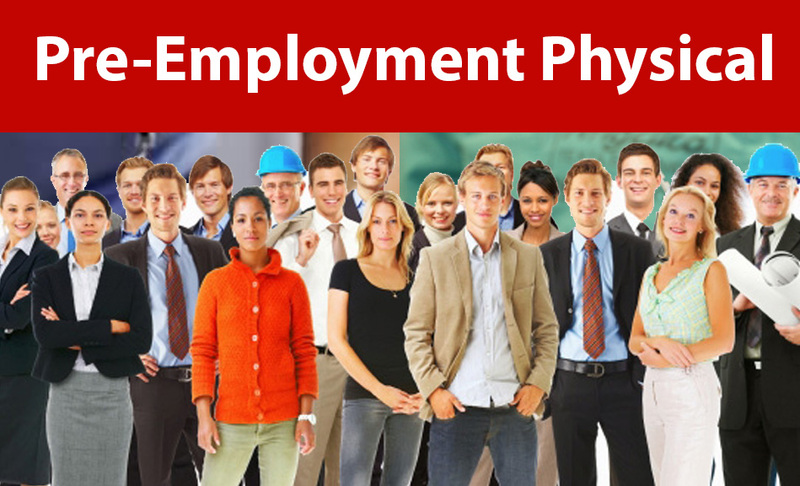 We offer $50 Employment Physicals in our San Jose office. Located at 1415 Koll Circle, San Jose Ca.We also offer mobile $50 employment physicals in San Jose, Santa Clara, Milpitas, Mountain View, Palo Alto, Menlo Park, Sunnyvale, Cupertino, Los Gatos, Morgan Hill, Gilroy, Fremont, Newark, Union City, Hayward, San Leandro, Oakland, Alameda, San Francisco, South San Francisco, San Mateo, San Bruno, Daly City, Redwood City, , Valeijo, Fairfield, Concord, Livermore and Richmond, we will come out to your company and perform employment physicals and or drug screening for a group of employees. We also offer low cost drug screening for your employees starting at $45. Give us a call to set up your employment physical in our San Jose office or at your location if you have a group of employees needing an employment physical or drug testing. 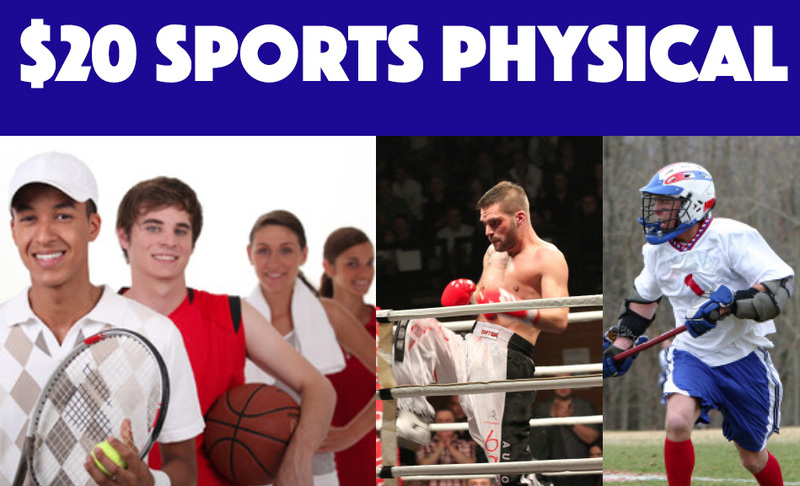 We provide a low cost $20 sports physical, high school sports physical, college sports physical, boxing physical and football league sports physicals in San Jose.. We have our own physical forms or you can bring your sports physical form from your school or sports club. If you are an individual athlete needing a physical you can make an appointment at our San Jose office. We have over twenty years experience doing physicals for athletes in San Jose and the Bay Area. We are fast, and affordable. Last minute appointments available. If you are a coach, or athletic director give us a call, We can come out to your school or athletic field and provide low cost $20 Sports physicals in San Jose, Milpitas, Fremont, Union City, Newark, Santa Clara, Menlo Park,Palo Alto, Mountain View, Campbell, Cupertino, Morgan Hill, Hayward, San Leandro, San Lorenzo, Oakland, Alameda, Richmond, Berkeley, San Pablo, San Ramon, Concord, Pleasanton, Livermore, Tracy, and Walnut Creek Ca. 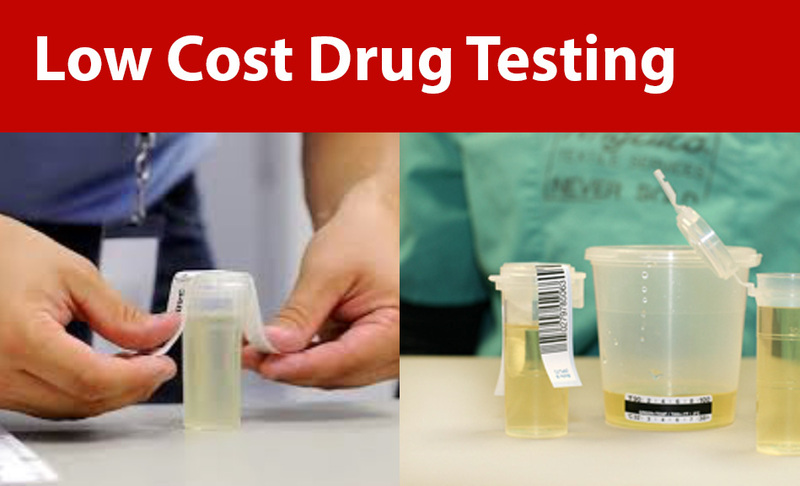 We offer low cost Drug Testing starting as low as $45 in our San Jose Ca office for court cases, family law, employment drug testing and Dot drug screening. All our drug tests are signed off by a medical review officer, medical doctor, and our accepted for court cases, Dot drug testing, pre employment drug testing, post accident drug testing, family law drug screening, criminal cases, DUI drug and alcohol screening. We also offer mobile low cost drug testing and drug screening in San Jose, Cupertino, Campbell, Milpitas, Sunnyvale, Mountain View, Santa Clara, Los Gatos, Palo Alto, Menlo Park, Redwood City, San Mateo, San Carlos, South San Francisco, San Francisco, San Bruno, Daly City, Vallejo, Fairfield, Vacaville, San Pablo, Richmond, Martinez, Berkeley, Oakland, Alameda, San Leandro, Hayward, Union City, Fremont, Newark, San Ramon, Concord, Livermore, Pleasanton, and Tracy Ca. We offer the following drug tests. Other drug test panels available just call to ask. $50 Dot Physicals in San Jose. Located at 1415 Koll Circle, San Jose Ca.At our office we pride ourselves on good service. We know your time is valuable so we pride ourselves providing fast, easy, low cost, Dot Physicals for only $50. We also provide mobile Dot Physicals, Employment Physicals, Sports Physicals and Drug Testing in San Jose, Santa Clara, Milpitas, Fremont, Newark, Campbell, Los Gatos, Mountain View, Sunnyvale, Palo Alto, Menlo Park, Gilroy, Hayward, Oakland, San Leandro, San Carlos, San Mateo, South San Francisco, San Francisco, San Bruno and Morgan Hill for groups of employees, or students at great low prices with friendly service. Most of our clients are repeat customers and referral based. Many drivers choose to come to our office rather than go to the company doctor for their Dot physical.